"Helping you make the right move." In today's challenging Sioux Falls real estate market, selecting the right real estate agent is crucial. It can make all the difference in the world. Whether you're planning on buying, selling, or you just have a question, feel free to call me. 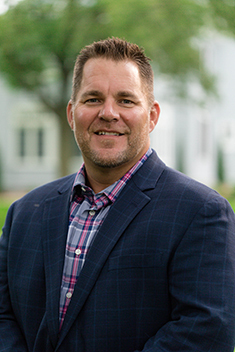 With great experience in Sioux Falls, Harrisburg, Tea, Rural (Acreages), Hartford, and Brandon real estate as well as intimate local area knowledge, I work extensively to help buyers and sellers meet their real estate goals. As a listing agent in Minnehaha & Lincoln Counties, my extensive marketing plan gives a homeowner the opportunity to get the maximum value for his/her property. Areas Served: I am a licensed Realtor in the states of South Dakota & Iowa.